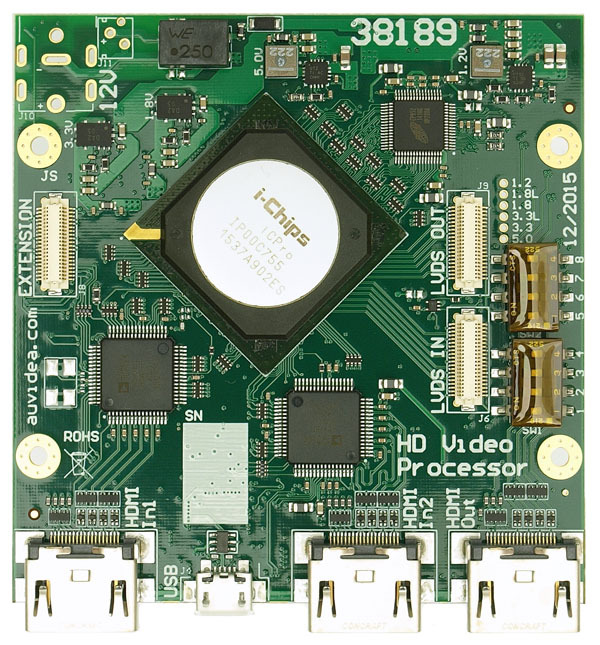 This video processor combines two input sources plus graphic overlay into a single output. Each input features cropping, scaling deinterlacing and frame rate conversion. Flexible configurations are possible such as full screen video input switching, slide by side (3D view), picture in picture (PiP), picture over picture (PoP) and more. Please contact us for a demo video. On top are the 2 video inputs and the full screen graphic overlay image (1920×1080). All three elements may be freely placed. The video windows may be cropped, scaled with separate horizontal and vertical scaling factors (downscaling and upscaling) and de-interlaced. The video windows may overlap and may be swapped. Automatic scaling is supported to fit video sources with varying resolution into a video output window. So notebooks with varying output modes may freely be connected in presentation recording applications. 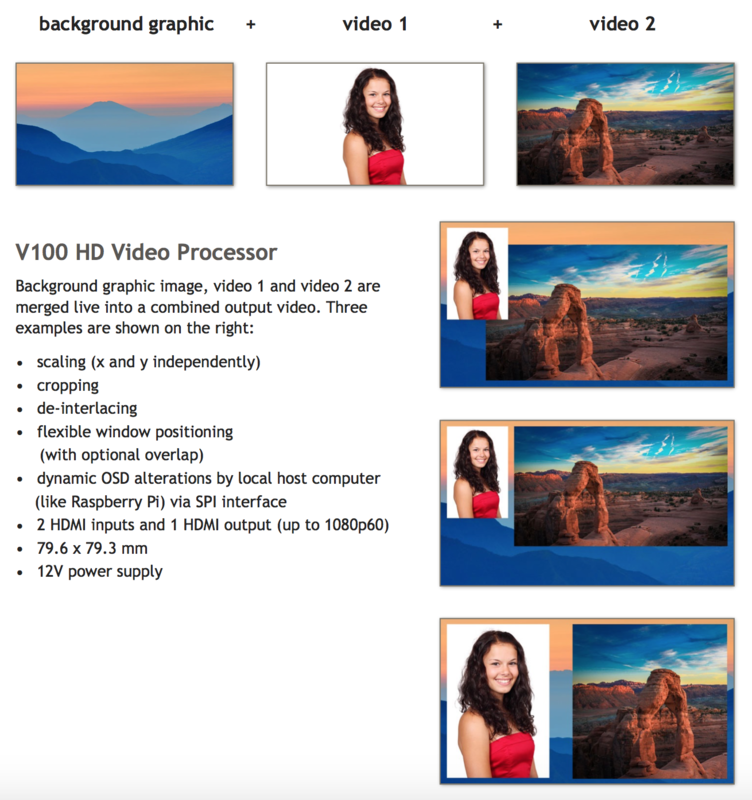 The sample on the left shows that the V100 supports free form video window shapes.